Exemplars/Anchor Charts - Room 12 - The Adventure Continues! 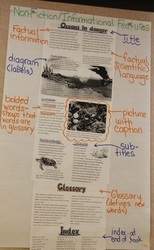 Below please find valuable information on Anchor Charts and Exemplars along with examples from Room 11 last year. Hold your mouse over the Exemplars/Anchor Charts in the top menu to find another page of 2011/2012 anchor charts and exemplars from Room 12. What are Anchor Charts and Exemplars? 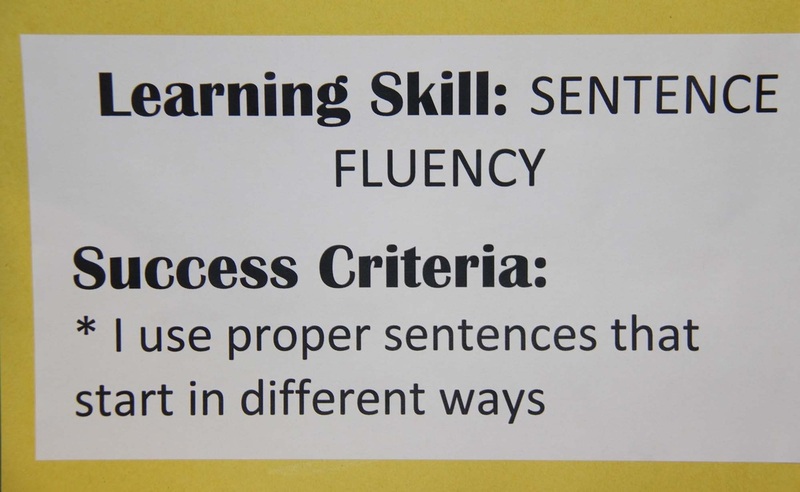 Both anchor charts and exemplars are part of the Waterloo Region District School Board's "High Yield Tools" - tools designed to allow students to succeed to their fullest potential within the classroom. 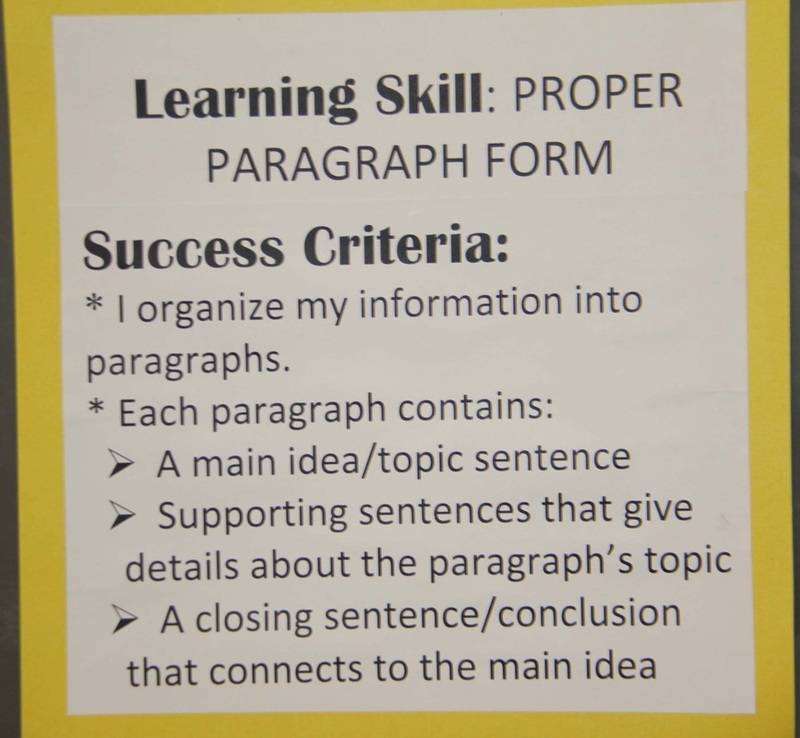 Room 11 uses both regularly, and this new link will allow you to see the type of anchor charts and exemplars we are using in our classroom and how they are helping us learn. This is a long page, so be sure to scroll right to the bottom to see all of the different examples! Anchor Charts: outline procedures and processes (e.g. stages of the writing process, reading/thinking strategies, how to give a book talk, revision strategies, etc.) providing quick reference and support for students. 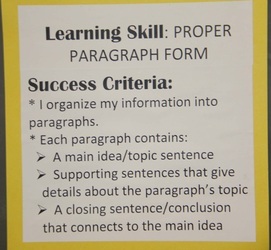 Anchor charts also provide criteria for a high standard of student work (level 3 & 4) that guide students in communicating their thinking effectively in the subject that they are learning. Many of our anchor charts in Room 11 are created collaboratively - during our carpet time and are posted in clear locations, referred to often and used as a guide for students. Exemplars: Level 3 and 4 examples of student work that demonstrate the characteristics of writing (e.g., forms of writing, persuasion with evidence, making connections, inferencing, etc.) and the quality of work required to achieve at a high standard in the subject area in which they are working. Our exemplars often become anchor charts, when we deconstruct student work together and post it on the wall. 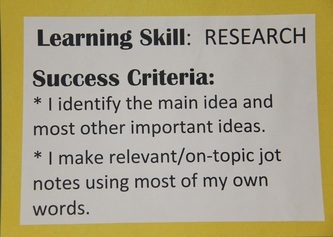 Another of the board's High Yield Tools is using Open Ended Critical Thinking questions within the classroom. According to the WRDSB: use of open ended, critical questions, prompts and tasks provide opportunities for a wide range of responses and encourage the exploration of ideas and information. These rich questions ask the learner to apply skills such as: comparing, analyzing and justifying; and give the learner an opportunity to think deeply. The following slide show will give you an idea of how we use these questions in our classroom. Watch the slides to learn what constitutes a Open Ended Critical Question (a Type 3 Question) and to see examples we have completed together as well as student exemplars on display in our classroom. Within our classroom, we have a bulletin board called, "We Learn From Each Other". 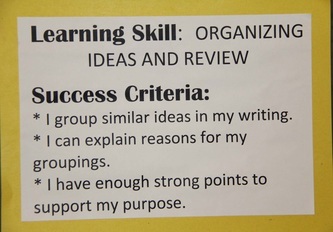 On that bulletin board, there are constantly student exemplars on display for students to use in the creation and revision of their own work. The bulletin board contents change according to what we are working on! One of the WRDSB's High-Yield Strategies is to have targets that are clear and understandable to students. 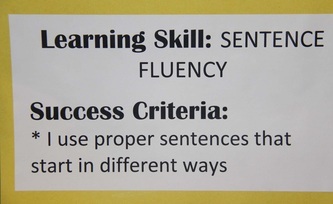 In Room 11, we work hard to ensure all students understand what they need to do to succeed in a learning task. 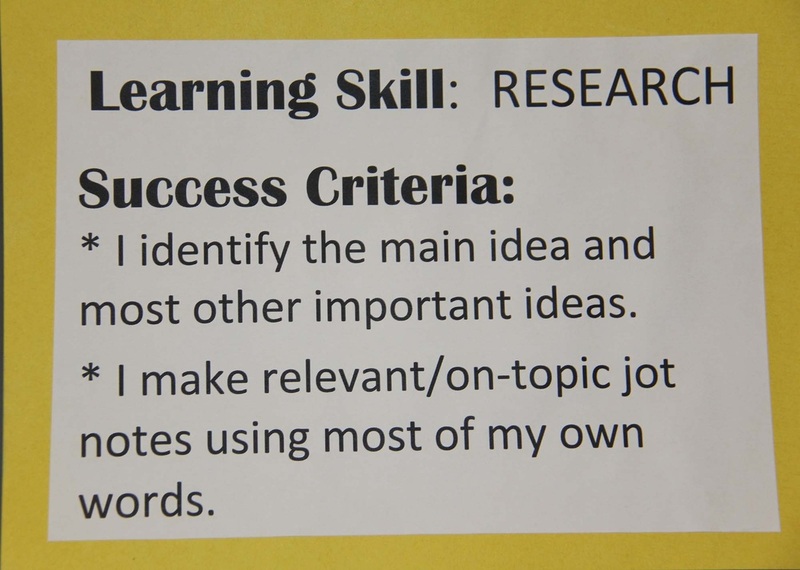 In this example, students looked at a teacher-created rubric and then re-wrote sections of it to make sure what they needed to do to succeed was clear to them. 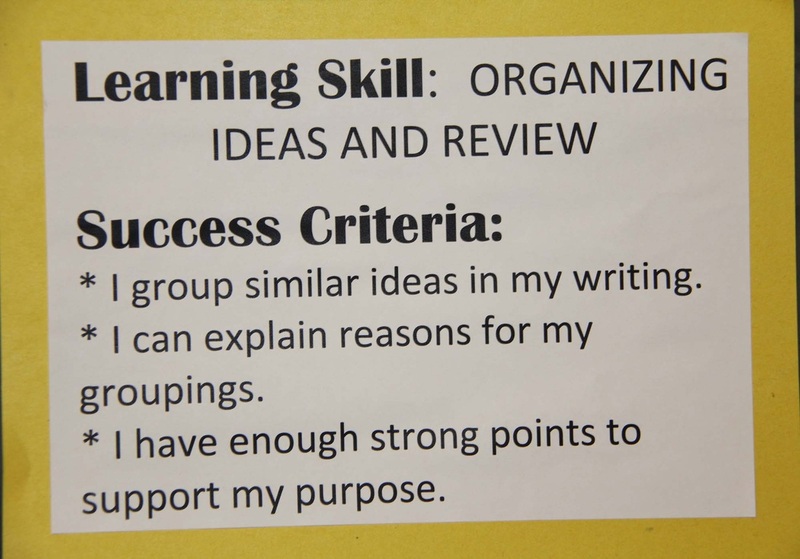 These collaboratively created Learning Goals and Sucess Criteria were then on display throughout the writing task. Non-Fiction Writing - The Perfect Paragraph! During our Non-Fiction Writing, we have been working hard on writing the perfect paragraph. To begin the unit, we reviewed what a paragraph was and then we did some group writing to practice. Our group writing then became exemplars and anchor charts for us to refer to throughout our process. Reading Always Connects to Writing! In order to support our writing, we spent some time deconstructing Non-Fiction Informational texts. The students began by looking over informational texts in small groups. Each group made notes as they read of the different text features they noticed. 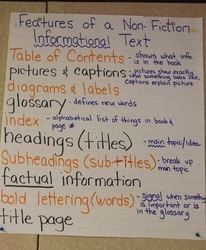 Then, as a class, we created the Anchor Chart entitled, "Features of a Non-Fiction Informational Text". The next day, we looked at an example of one of these texts together on the carpet and deconstructed it as a group. Our room is constantly changing - with wall displays and bulletin boards always morphing in ways that support our current learning. There are some Anchor Charts, however, that NEVER change are are always there to help guide us! 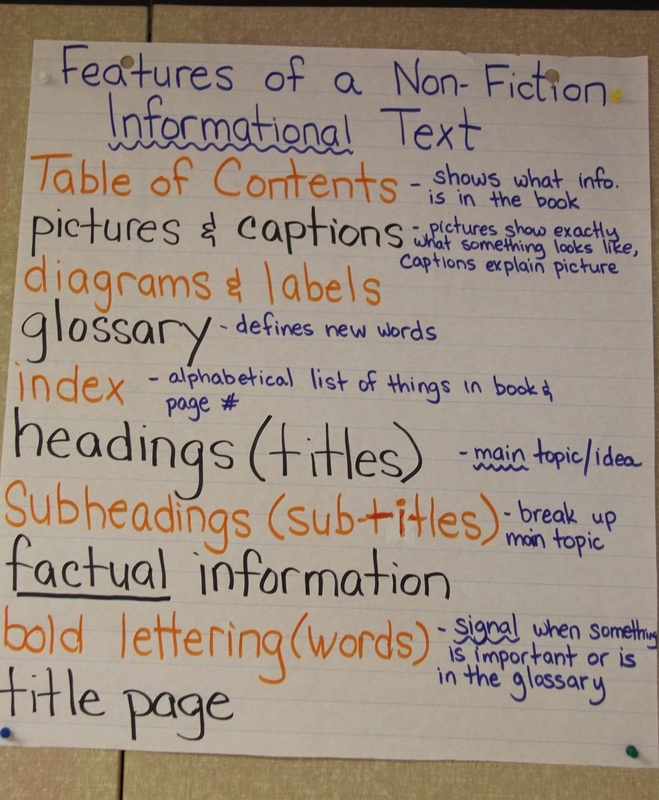 Many of these Anchor Charts were created collaboratively at the beginning of the school year.